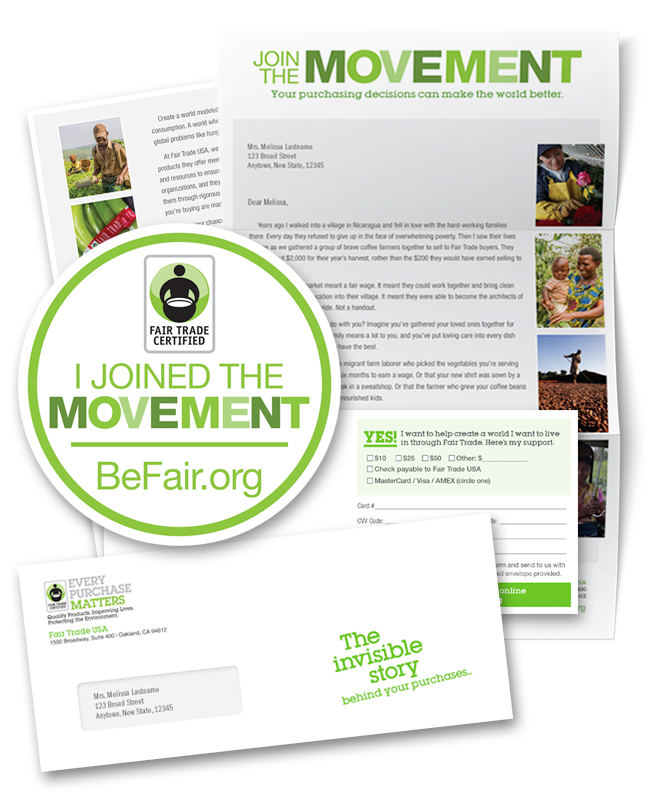 This donation appeal project for Fair Trade USA included a branded outer envelope, double-sided letter, reply form and laptop sticker. A secondary goal of this campaign was to build general awareness on the meaning of the “Fair Trade Movement” and the difference purchasing fair trade brands can make. Ballantine handled the creative, printing and mailing of this project.